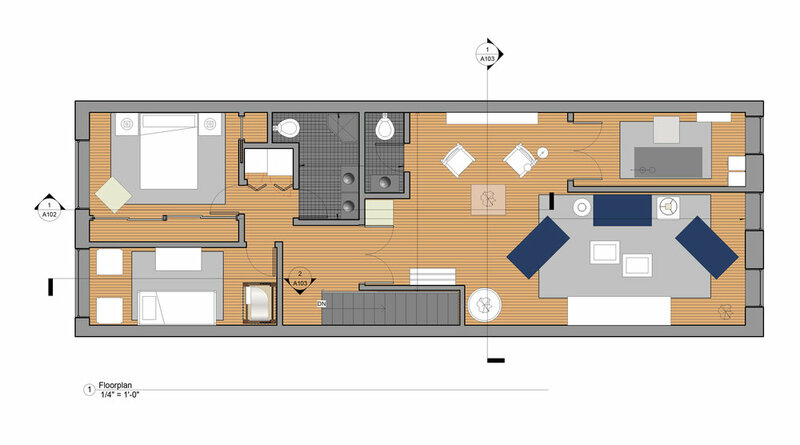 The aim of this project was to create a pied-à-terre for the Danish/Icelandic artist Olafur Eliasson that would include a gallery space, a studio and a living area in a Lower East Side building in New York City. 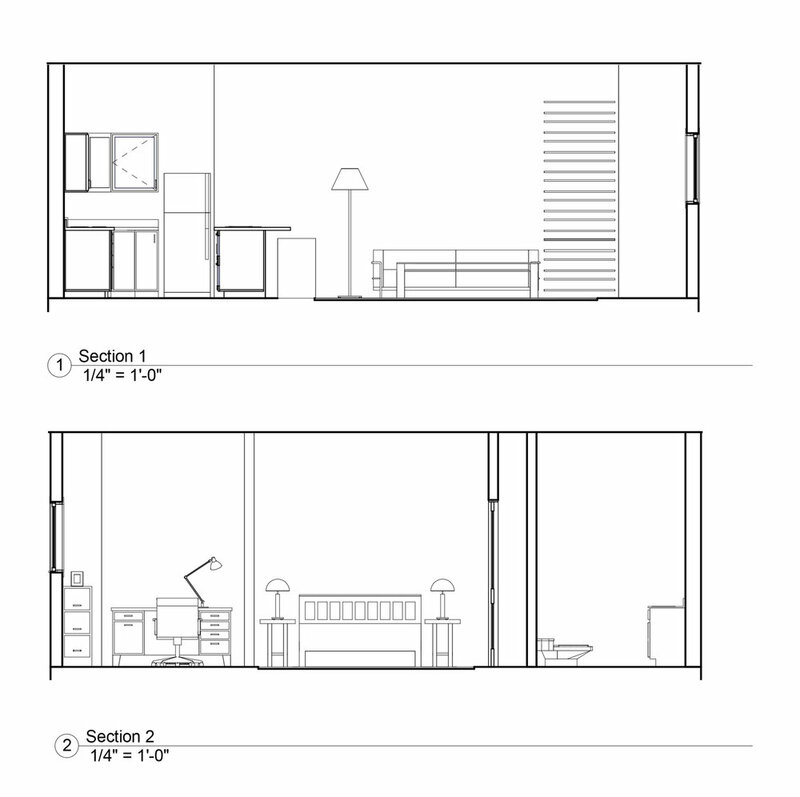 The aim of this project was to convert a large studio apartment into a one-bedroom apartment with a functional layout that would include a small workspace (drawings in Revit). CAD II Project, Winter 2016. 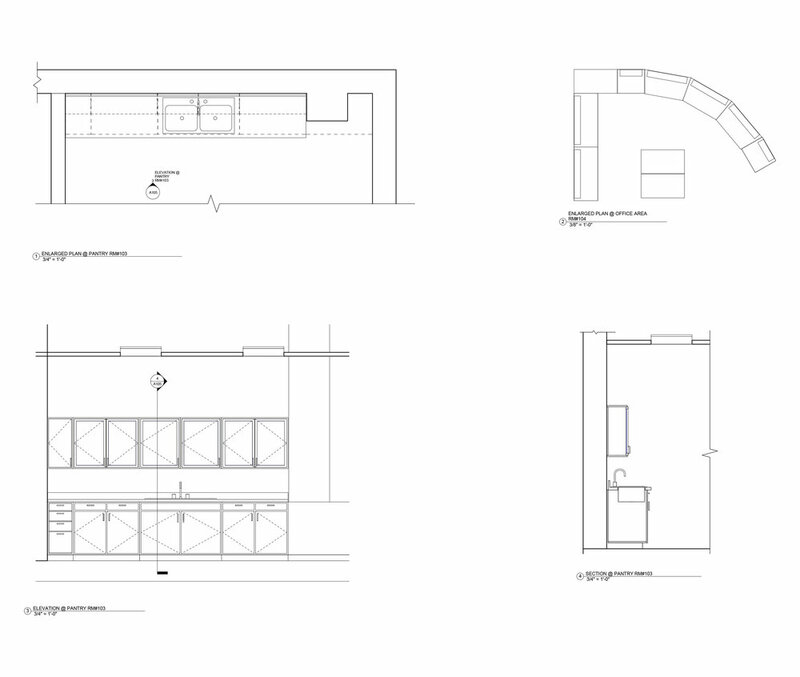 The aim of this project was to recreate in Revit a large building featuring a large showroom, a grand staircase and highly detailed partitions. 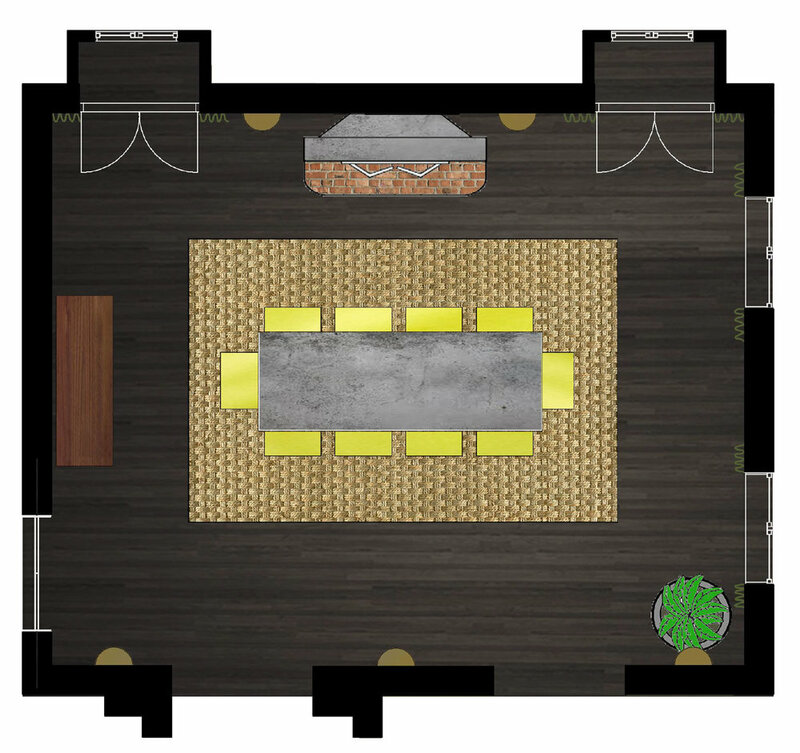 The aim of this project was to create for a brownstone building the guest quarters and a recreational area. 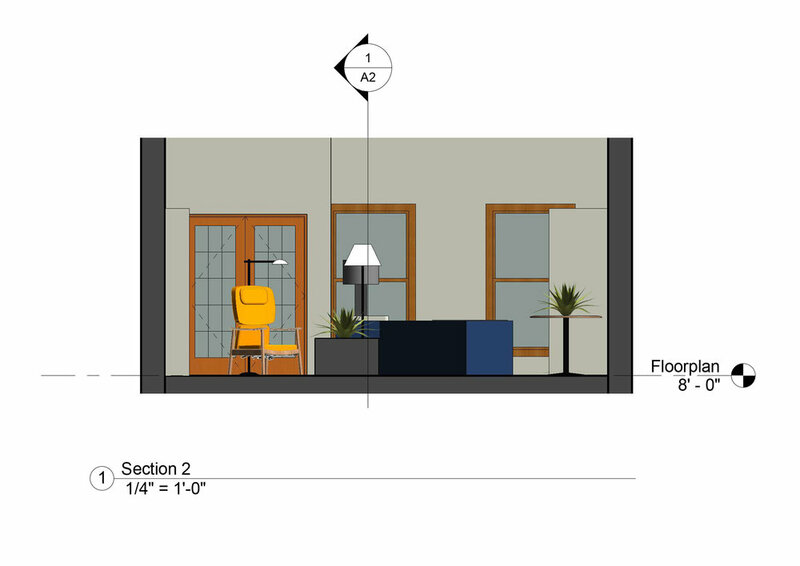 (Drawings in Revit). 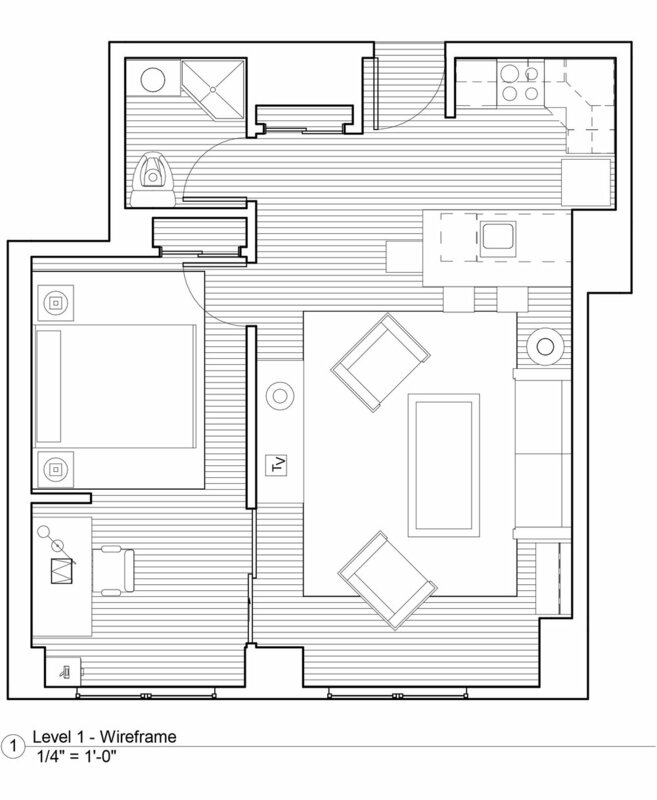 The aim of this project was to create a dining room in a large New York apartment, including client profiling, floor planning and FFE (Drawings in Revit and Photoshop).